With the battle for streaming supremacy heating up, Amazon is looking for any advantage it can get over its hated foes at Netflix. Award-winning shows and a special deal with HBO can only hook so many viewers, but now Amazon has uncovered an endless supply of untapped creative talent that, statistically, has a pretty good shot at coming up with the greatest TV show to ever be streamed. As reported by Deadline, Amazon has just launched a free, cloud-based scriptwriting app called Amazon Storywriter. The program will allow you to store as many scripts as you want, will automatically format your text so you don’t look like an idiot, and allows you to import scripts you’ve already written. Throw in an unhealthy amount of self-doubt and/or alcohol, and the writing is practically done for you! Of course, a finished and automatically formatted script can only get you so far—which is probably not far at all—so Amazon has also started accepting submissions of drama, comedy, and kid-friendly scripts through its Amazon Studios division. Approximately eight bazillion people will be visiting Amazon in the coming weeks to order stuff for Christmas, so if only a small fraction of them decide to write and submit scripts for new drama series while they’re shopping, then Amazon could easily pick up the next Breaking Bad by January. 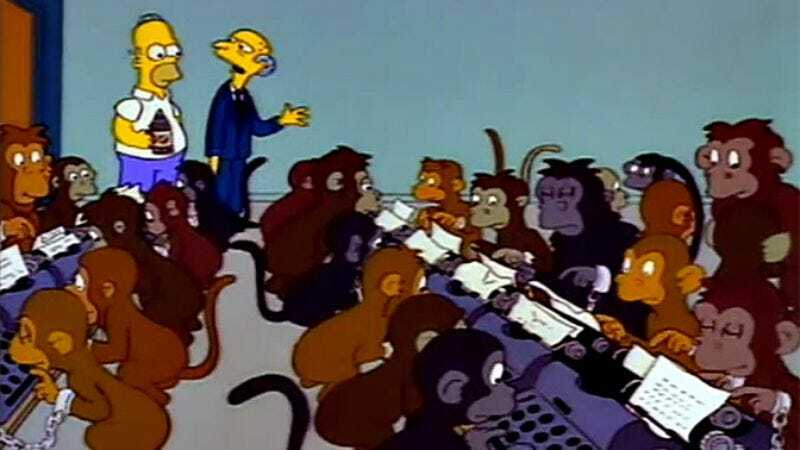 It’s like the TV version of that “million monkeys on a million typewriters” theory.